– Search for exhibitors by company name, product category or booth number and bookmark favorites. – Find exhibitors’ show specials. – Interactively map your route to Knowledge Network sessions, special events and exhibitors’ booths. 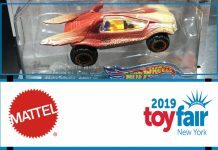 – Pull in your online schedule from the Toy Fair online floor plan powered by a2z. – Stay informed and organized with up-to-the-minute alerts. – Network with fellow attendees through the Friends feature, send direct messages and share schedules. 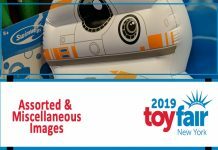 – Reference complimentary Toy Fair shuttle service schedules and route information. 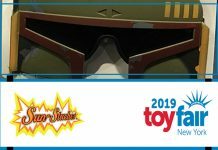 – Access social media to keep up on all the buzz surrounding Toy Fair 2017, and much, much more! The free app is available for download from Google Play and the App Store.